Ready to rock (front from left) Jennifer, Hannah, Alec and Jessica (back)Chloe, Tiani, Hamish and Mark. 183265_01. Picture: Rob Carew. 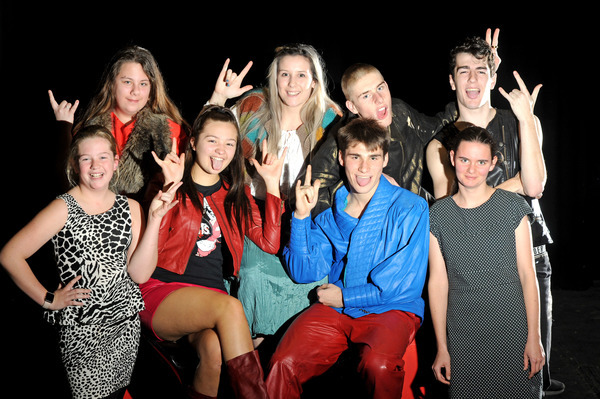 Healesville High School is gearing up for another blockbuster production with Rock of Ages set to rock the Ion Whykes Performing Arts Centre from 23 to 25 August. The show, a ‘must see’ for anyone who lived through the ‘80s, is great entertainment for all ages. It’s the tail end of the big, bad 1980s in Hollywood, and the party has been raging hard. Aqua Net, Lycra, Heavy Metal flow freely at one of the Sunset Strip’s last legendary venues, a place where legendary rocker Stacee Jaxx takes the stage and groupies line up for their chance at an autograph. Amidst the madness, aspiring rock star (and resident toilet cleaner) Drew longs to take the stage as the next big thing (and longs for small-town girl Sherri, fresh off the bus from Kansas with stars in her eyes). But the rock and roll fairy-tale is about to end when German developers sweep into town with plans to turn the fabled Strip into just another capitalist strip mall. Can Drew, Sherri and the gang save the strip — and themselves — before it’s too late? Only the music of hit bands Styx, Journey, Bon Jovi, Whitesnake and more hold the answer. Rock of Ages follows a well-established tradition at Healesville High of high energy, high quality productions which provide a platform for developing and showcasing talents including music, singing, acting, lighting, set production and promotion … and providing great entertainment for the school and wider community. 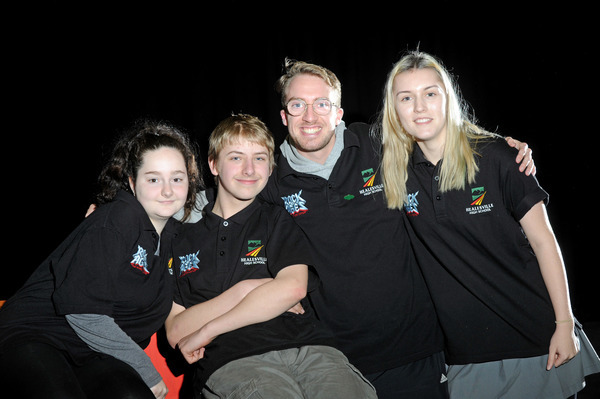 Shows are on 23, 24 and 25 August at 7pm. Book tickets at https://www.facebook.com/events/354637005054480/ or phone the High School on 5962 4088 for more information.